Some of us play in sensible, 15-team dynasty leagues. Others prefer to play deeper, bumping it up to 18 teams with extra roster spots, or 24 teams with a short roster. 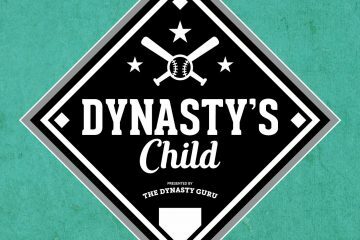 However, some of us prefer to take dynasty fantasy baseball to its most absurd. Enter the 24-team, deep roster league. I play in several such leagues, one of which will be the subject of this weekly column. The league features 24 teams with 2 catchers, a middle infield slot, a center fielder, 3 OFs, 5 starting pitchers and 5 relief pitchers. The scoring is a little weird: HR/TB/OBP/SB and ERA/QS/SVHLD. As you might imagine, very few major league players are unowned. The best-unowned hitter at the moment is probably Peter Bourjos, while the best starting pitcher is probably Nate Karns. Pretty much every prospect of any notoriety is owned. Any unowned player on a 25-man MLB roster that is not on the injured list is eligible to be drafted. Thus, the pickings are slim; owners must speculate on which unexpected call-ups or part-time players will become effective fantasy players. For our league, the player scarcity is terrifying; an injury to a third baseman might mean that you have no full-time options available. For the rest of the world, our waivers can function as a canary in the deep league coal mine. Our owners must speculate on who is in line to set up for teams with bullpens in flux, which unknown rookies deserve a flyer, and which part-time breakouts are for real. Thus, players will get picked up in our stupidly-deep league long before they are considered in your much more sane league. 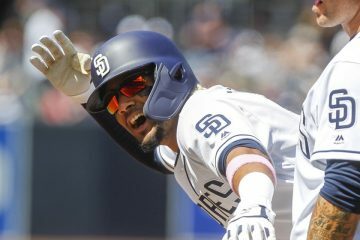 Two owners bet 10% or more of their FAAB budget on the players this week. I was one of them, bidding $10 on Nick Margevicius. I hadn’t heard of Margevicius before the Padres made the bold move to call him up from High-A. The 23-year-old had an impressive 10:1 strike-to-walk ratio but still got a little beat up at High-A. I bid on him for a few reasons. First, I was impressed by the unexpected call-up. The Padres have plenty of replacement level alternatives in the high minors but instead opted for a soft-tossing High-A guy. They might know something that the rest of us do not. Second, my team lost Jaimie Barria to a Triple-A demotion at the beginning of the season, so I did not have five starting pitchers. Finally, his five-inning, zero-walk shutout on Saturday was a great start to the season, and should buy him some more starts. If there is going to be a Shane Bieber this week, I want a pick. Less unconventionally, Taylor Rogers went for $13. Rogers has been excellent early in this season, and has a good shot at beating out Trevor May for saves this season. Even if he doesn’t, Rogers will be a steady source of holds. 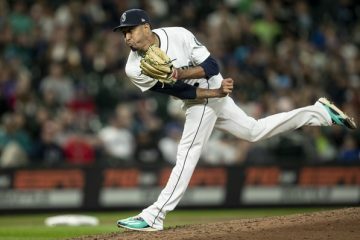 With 24 teams and five relief pitcher slots, closers are golden, so Rogers justifies the $13 valuation. Lots of interesting players here. Cory Gearrin looked like the favorite for saves in Seattle over the weekend after Hunter Strickland’s injury, although he struggled in his first outing. $9 feels like a few dollars too much for a reliever with a very tenuous hold on his job, although he definitely deserves to be owned in this league. 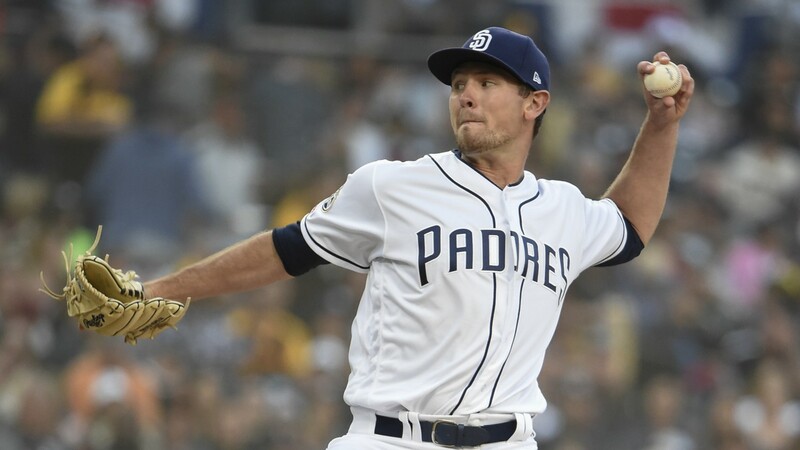 Trey Wingenter is an interesting bet for saves as well – his new owner is probably betting that the Padres will trade one or both of Craig Stammen and Kirby Yates at the trade deadline. Wingenter has poor control, but amazing strikeout stuff. He’s an interesting bet to save a lot of games for the post-rebuild Padres. Matt Wieters and Jarrod Dyson are the likely picks to fill empty roster spots. Dyson is centerfield eligible and is getting real playing time in Arizona. He could be a great value at $7 if he steals 30+ bases. Wieters was the most expensive of many available catchers. While he may be the best hitter on a per-game basis, I’m skeptical that he receives enough playing time in St. Louis to justify a $5 price. Two pretty mediocre starters also went for $5. I don’t have a lot of faith in Volquez or Chatwood, but they will probably pitch the most innings of any available starters other than Margevicius. You have to dive deep into the dumpster in this league. These picks broadly fall into a few groups. First, teams picked up their backup catchers. In a league where 48 (!) catchers are starting, Jesus Sucre is worth $3. Any playing time is an advantage with so many backup catchers playing. A few owners went hunting for relief pitching in Richard Rodriguez, and Adam Conley. Both are interesting to some degree, but both are locked into middle relief for the foreseeable future. Trent Thorton is currently only eligible at RP but is a potential steal for $2 if his five-innings, eight-strikeout shutout debut is any indicator. He doesn’t have a great minor league track record but found a penchant for strikeouts in Spring Training this year. Thornton could easily stick in Toronto’s thin rotation this year, especially if they trade their veterans.